As anyone with a respectable beard will tell you, having great facial hair takes some work. Unfortunately, a beard won’t grow perfect. This is a lesson many men don’t learn until they’ve had their beards for a while. But you’ve taken the first step to getting your face mane back on the path of excellence. Fortunately for you, beard maintenance basics are just that; basic. There are three pillars to successfully maintaining a beard. One common misconception people have about beard hair is that it’s like the hair on your head. That is absolutely untrue. Using the same shampoo and conditioner on your face that you use on your head can cause irritation. This is because the skin and hair on your face is more thin and sensitive than your scalp. Using special beard shampoo will keep the hair healthy and clean. Clean the beard few times a week to clean out food crumbs and sweat. Another important thing to have around the house is beard oil. Both you and your significant other will be happier when you take this step. Beard oil is more than just something that makes your beard smell good (though it certainly does that). Beard oil also moisturizes the hair and the skin, helping the hair grow healthy and will reduce beard itch. The oil also softens the hair, which your significant other will greatly appreciate when they don’t have your pointy stubble stabbing their face when they come in for a kiss. Your facial hair grows at very different rates. It’s natural. But when left unchecked, you end up looking like a hobo. So when you’ve got your beard at a decent length, it’s time to start trimming. Now you can go the scissor route, which works fine, but can be a little time consuming and if you don’t know exactly what you’re doing, you might make a mistake and ruin your beard. You can also go to a professional every couple weeks. There are many great barbershops with people who specialize in beard trims, like the Whiskey Neat Barbershop in Nashville, and you’ll have a perfectly trimmed and styled beard every time. But the easiest route to go for great beard maintenance would be to have an electric trimmer. It’s a great way to keep your beard looking clean and can take care of it frequently. There are a lot of great trimmers on the market and a lot of not so good ones. Going the cheap route might seem like a good idea at the time, but cheap trimmers leave you with a poor looking beard and have a higher chance of breaking down. 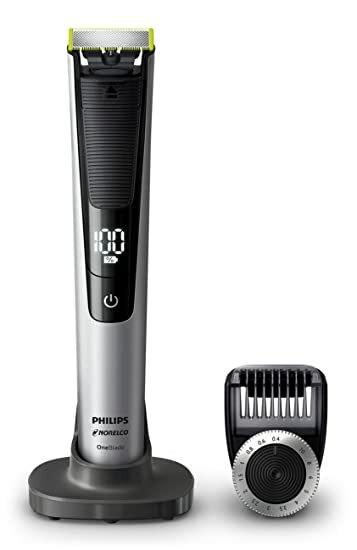 Two good options would be the Brio Beardscape and the Philips Norelco Oneblade Pro. Both have quality rechargeable batteries for travelling and have size guards for precision trimming. I’m a fan of the Oneblade, simply because there’s only one precision comb (which can be adjusted for your chosen length) and has a precision edger for your neck and cheekline. If you’ve gone the electric trimmer route, the trimming process is relatively easy. Simply select your guard length and go all around the beard, evening out the hair lengths. Now a good rule of thumb is to start at a longer length when you start trimming so you have an idea how long the beard will look. Once you’ve got a beard length you like, simply stick with that guard during your weekly home trim. We’ll talk about what to do after getting your length chosen in the next step. 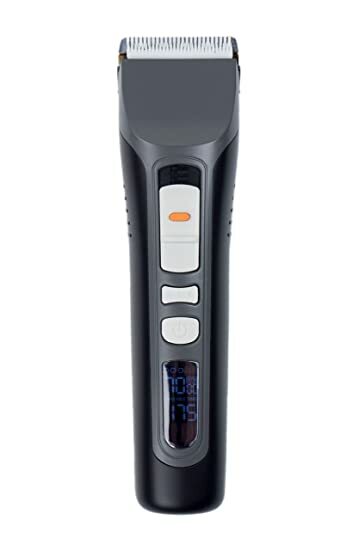 You’ll still want to go to the barbershop every once in a while to get your beard properly shaped and trimmed, but using an electric trimmer once a week will keep you looking so fresh and so clean (clean). Whether you have a short beard or a ZZ Top beard, keeping it styled is an absolute must. It marks the difference between a gentleman’s beard and a mountain hermit’s. When you’re styling your beard, here are the steps you have to take. To figure out your neckline, put a finger just above your Adam’s Apple and make a “U” along your jaw. This is where you want to shave. Then, either using either a razor or your electric trimmer sans guard, shave under that “U.” A good reference guide would be to look straight into the mirror and shave any hair you can see below your chin. This one is optional depending on how you like your cheekline. If you like keeping it natural, you can leave it alone. But if you want it a little more tidy and defined, use your trimmer edger (or razor) and create a straight or curved line from the sideburn to the corner of your mouth. If you have a rounder face, a straight cheekline will offset that. If you’re face is longer, a curved line will soften the sharper contours of your face. When trimming your mustache, you can either trim it to the same length as your beard, or you can leave it little longer so it can stand out a bit more. Use the edging feature of your trimmer or use scissors to trim your lipline to keep the hairs out of your mouth. Then style it however you want using mustache wax. You can push it to the sides to keep it simple or curl the ends up using mustache wax for a handlebar mustache. From here on out, you can grow and style your beard however you want. Let us at Whiskey, Ink, & Lace provide you with the products to style and maintain your beard so you can look amazing.